If it ain’t broke, don’t fix it. This is the view of many teachers, examiners and text-book writers regarding the reform of the Religious Studies A-level curriculum. And they have a point. Never has A-level RS been more popular, having approximately doubled its take-up in the last decade. Although growth is now slowing, possibly as a consequence of government interventions at Key Stage 4 which have negatively affected the subject, more than 23,000 young people gained the qualification in 2014. This is to be both celebrated and protected. It has been argued, with some justification, that the emphasis in A-level Religious Studies on Philosophy of Religion and Ethics accounts for this popularity. Young people want to ask the ultimate questions, both metaphysical and ethical – ‘Is there a God?’ ‘What does it mean to live a good life?’ In fact, many A-level programmes, and even school departments previously called ‘RE’ or ‘RS’, have changed their name to ‘Philosophy and Ethics’ to reflect this. Religion is perceived as an unattractive object of study, and the competition for candidates for public examinations against other curriculum subjects is fierce. There seems to be little doubt that the re-branding of the subject enabled by Curriculum 2000 (the last time the A-level curriculum was seriously re-written) has wrought benefits. • The current curriculum is popular, resources are available and, despite the low proportion of appropriately trained teachers, the current workforce has been able to deliver this curriculum with notable success. • Whilst an A-level is a gateway qualification for Higher Education (and even more so than it was fifteen years ago, with the dramatic rise in university entrance), HE is not the only ‘destination stakeholder’ in A-levels. It needs a strong voice, but other voices, such as those of employers, are also important. • Any reform of A-level needs to take account of GCSE, and what progression might look like. • The current curriculum has not undergone any significant review or reform in fifteen years and now reflects neither contemporary religious realities, nor developments in the academic study of religions. The final point has been the most significant driver in our decision to broadly welcome the new direction. In the fifteen years since Curriculum 2000 was introduced, significant developments in: a) the academic study of religions and, more importantly, b) the contemporary global religious landscape, make the current offering seem, in some important ways, out of touch. If an A-level in Religious Studies is to be any kind of certification of religious literacy, candidates need to know more than they currently do about the lives of religious people and the relationships between religion and culture. A curriculum which offers Philosophy and Ethics (P/E) almost exclusively, is unlikely, in my view, to be able to deliver this. Part of the problem is that P/E as it is taught at A-level is forged in an almost entirely Christian/post-Christian environment. There are token attempts to include ‘other’ religions, but these are necessarily token, because the discourse isn’t designed for that. Some of the first year undergraduates with an A level in P/E that I meet are capable of presenting reasoned arguments for and against propositional statements. However, they are less good at imagining what it might be like to live a life shaped by practices and values which might draw, in various different ways, upon religious and other authorities, or what it might be like to negotiate questions of identity in plural modernity. Likewise, they are generally less good at understanding the forces of religion on history and history on religion, or the complex relationships between communities and texts, and often have little sense at all that our knowledge about the lives of ‘others’ has been delivered to us through the distorting structures of colonialism and patriarchy. As such, whilst they have some immensely effective tools in their critical thinking tool-box, there are some so-called ‘HOT skills’ that they frequently lack. The re-balancing of the curriculum offered in the Draft Subject Content proposal addresses some of these concerns. This re-balancing must occur with minimum threat to the benefits of what has gone before, and for this reason as a department we support the amendments suggested by Dr Robert Bowie to ensure that the status of ‘Ethics’ matches the status of ‘Philosophy’ in the curriculum. Bowie makes a strong case for the ‘study of the good’ to be an essential focus for the curriculum. However, a broader curriculum arguably enables greater critical engagement with how the good is constructed and lived in a variety of contexts. It might be suggested that it doesn’t matter what (in subject terms) our students lack when they arrive with us, what matters is the value we add. I agree. But this doesn’t mean that what a student studies in A-level RS doesn’t matter. Many don’t go on to study TRS at undergraduate level, and A-level marks their very last formal engagement with any religious studies at all. For this reason it has to be the very best that can be offered, within the constraints of the current, under-resourced, education system. Any change carries risk. Some commentators are claiming that the new A-level curriculum, if pushed through, will result in fewer candidates going on to study at undergraduate level. This is, of course, the last thing we would want to see, and we are committed to doing everything it can to support and resource the new curriculum, whatever that turns out to be. As one of the largest and most diverse (in terms of disciplinary expertise) of the TRS departments in the UK, we are well placed to do this; offering as we do a range of ethnographic and textual religious studies, biblical studies, theology, sociology, anthropology and history of religions, theological and philosophical ethics, the study of religion and culture, as well as practical and employability opportunities, including a focus on Religious Education itself. The fear that this curriculum-shift will impact negatively on undergraduate recruitment, however, ignores the fact that there has been a decline in undergraduate TRS applicants over the last decade anyway. Some departments in the UK have closed, and others have been subsumed into other departments or re-described according to other disciplines. 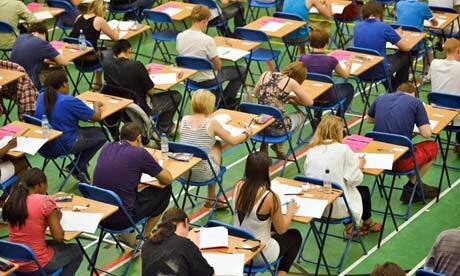 For all its success in its own terms, the current A-level is not shoring up undergraduate TRS. Perhaps some change is timely. As a department, we have submitted detailed feedback on the government’s consultation (which can be downloaded here). The consultation ends on December 29th, so there is still time to add your voice. Whilst we welcome the general direction, we’re concerned, like other stakeholders, that candidates should continue to benefit from the option to engage in the rigorous study of ethics and philosophy. We also want to help, if we can, to ensure that the proposed exploration of lived religions, along with the development of advanced textual skills, makes for robust religious literacy. A thorough understanding of the religious diversity of contemporary British society and the wider world is a key intellectual, intercultural and personal skill that schools need to develop among students in the 21st century. We appreciate the opportunity to be a part of this conversation. Categories: Uncategorized | Tags: A-Level, Ethics, Higher Education, Philosophy, Religious Studies, Wendy Dossett | Permalink.